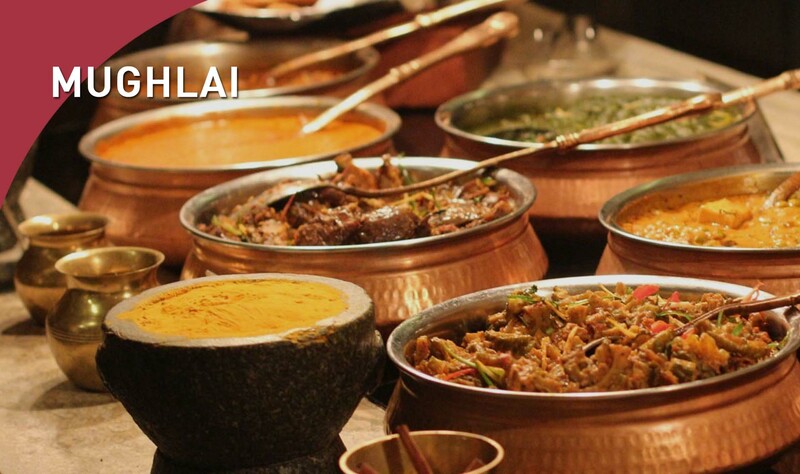 Mughalai food started as a fusion of Persian and Indian cooking traditions in the courts and kitchen of imperial Agra. During the time of Babar, his cooks prepared Persian dishes with Indian ingredients. Humayun introduced dried fruits and nuts in rice, puddings, sweets, and curries. Akbar had Rajasthani cooks, who fused rich spices and curries with Persian dishes to create new recipes such as Murg Massalam. The biryani was invented during the time of Shah Jahan, blending rich spices and kormas with the rice pilafs.